The Australian Government has launched a new strategy aimed at unlocking the country’s potential to become a lithium-ion battery manufacturing powerhouse. In launching Austrade’s new Lithium-Ion Battery Value Chain: New Economy Opportunities for Australia strategy, Minister for Trade, Tourism and Investment Simon Birmingham said Australia was ‘uniquely blessed with numerous rare earths’ to capitalise on opportunities presented in this emerging market. “Lithium-ion battery technology has enabled the mobile device revolution and is driving innovation and a global shift in energy storage solutions,” Minister Birmingham said. He said the report also highlighted the need for enhanced investment across the value chain of commodities like lithium. “Now is the time to accelerate the development of a high-tech lithium manufacturing sector in our own backyard,” Mr Birmingham continued. Federal Resources Minister Matt Canavan said Australia’s vast natural resources, coupled with the right policies, would propel the country further up the value chain to become the world’s leading supplier of high grade lithium components including ion-batteries. 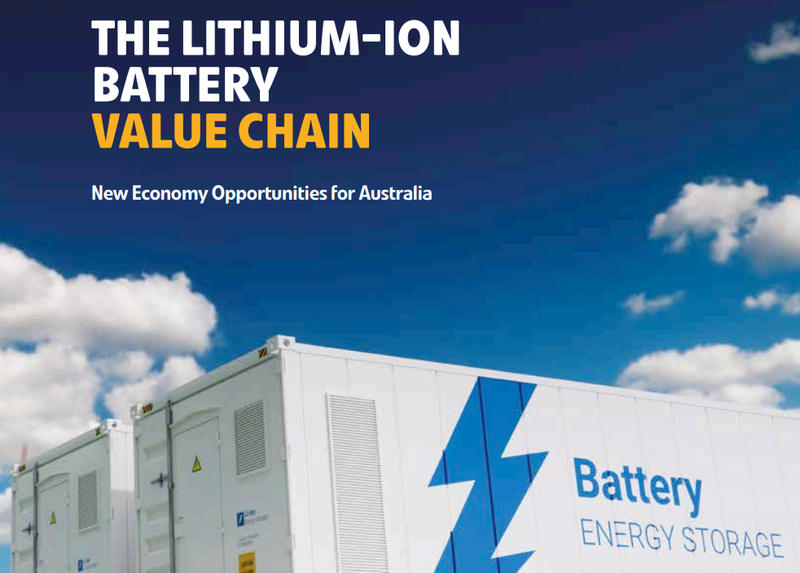 “As the world’s largest producer of lithium and with mineral reserves covering 90 per cent of the elements required in lithium-ion battery production, we have an enormous opportunity to leverage off this rapidly-growing industry,” Minister Canavan said. Lithium prices have tripled since 2010 and global battery consumption is expected to increase five-fold in the next 10 years, driven by a global shift to electric vehicles and off-grid storage to support renewable energy development.